The R-Series pump is a triplex (three plunger rods) positive displacement, reciprocating, plunger pump, constructed of duplex stainless manifolds, duplex seats, special quiet delrin valves, high-density, concentric, solid ceramic plungers and Cat Pumps special blend V-Packings that require no packing adjustment between servicing. The "C" indicates a modified manifold for flushing that permits an external flush liquid providing added cooling for hi-temp liquids and added lubrication for low-lubricity liquids such as DI water. 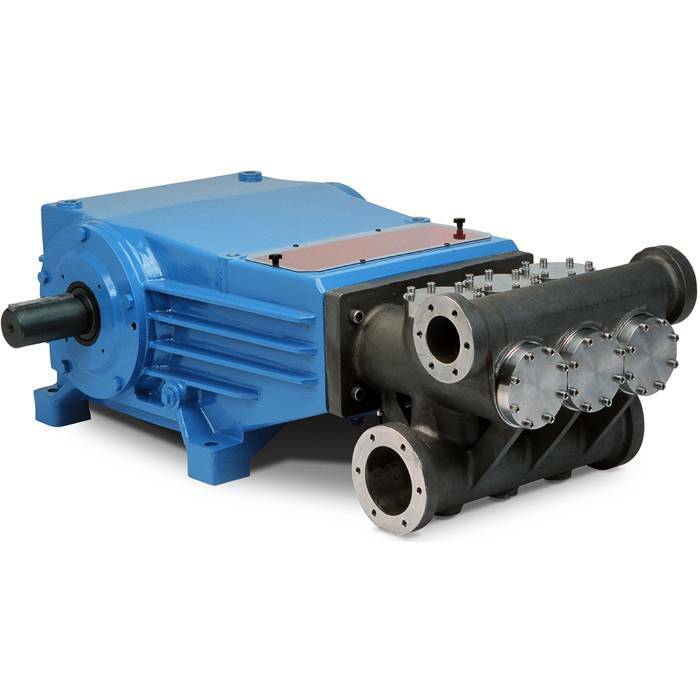 These R-Series pumps are designed for a variety of process applications such as seawater desalination. They are available as bare-shaft pump or custom designed skid-mounted Power Units including base, heavy-duty shock mounts, pump, drive and matching stainless steel system accessories. Water Cannon is an online discounter of the trusted Cat Pump product line, and it is our goal to deliver quality industrial, positive displacement triplex piston and high-pressure plunger pumps at the lowest price available. With proven dependability, Cat Pumps’ plunger pumps are utilized world-wide in thousands of applications including vehicle cleaning, car wash bays, commercial mobile wash, processing industries, manufacturing, oil field service operators, food processing, mining and portable hot water pressure washing systems. If you need application assistance please call one of our industry trained technicians at 1-800-333-9274 to find the correct Cat Pump of the thousand Cat Pumps offered by the world leader in Triplex Reciprocating High Pressure Pumps and Systems.